The phrase "Mustard Thanks" ("masutaado sankusu" or マスタードサンクス) started popping up increasingly online in Japan this past February and March. 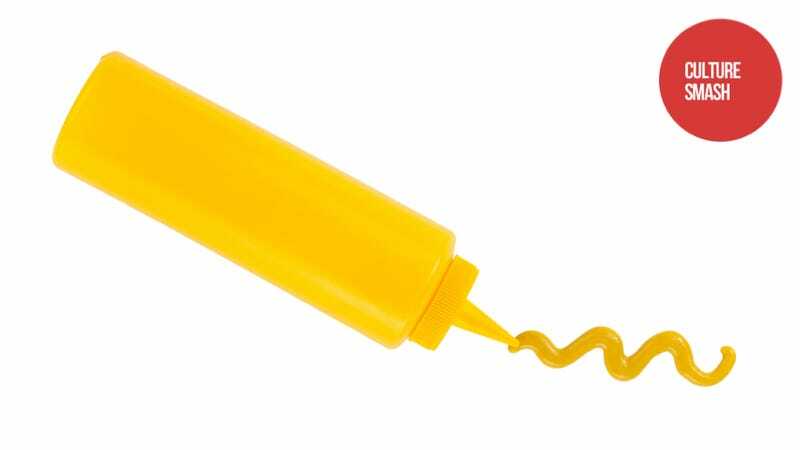 It supposedly refers to writing a nice message in mustard (or mayonnaise, ketchup, soy sauce, salad dressing, etc.) to say thanks at a restaurant. While pictures of "Mustard Thanks" do exist, it's not clear if this is really a widespread thing. There don't seem that many photos on Twitter, and it feels like people are trying to turn this into a trend. Granted, a "Mustard Thanks" thread popped up this week on 2ch that had photos of plates with things like "Thanks" or "That was delicious" scrawled in Japanese. What's more, the reaction online in Japan to "Mustard Thanks" has...not been good. "Couldn't you just say thanks with your mouth?" wrote one commenter on 2ch, Japan's largest forum. "This country has no tradition of something like this," added another. "This is truly wasteful," added a Twitter user, because in Japan, you are expected to clean your plate and not waste food. This is also why many in Japan disapproved of those "Potato Parties" at McDonald's. As with "Mustard Thanks", the "Flipped Bowl" phenomenon drew criticism for doing more harm than good: Restaurant staff have to wipe up the mess left by an overturned bowl. Earlier this year, one person online even claimed to have been banned from a popular restaurant chain after flipping over his or her bowl. So, if you are in Japan and you do have a delicious meal, don't write anything in condiments or turn over your bowl to show your appreciation. If you can muster it, a simple "thanks" will do just fine.